A teen at boarding school grapples with life, love, and rugby in this unforgettable novel that is “alternately hilarious and painful, awkward and enlightening” (Publishers Weekly, starred review). Ryan Dean manages to survive life’s complications with the help of his sense of humor, rugby buddies, and his penchant for doodling comics. But when the unthinkable happens, he has to figure out how to hold on to what’s important, even when it feels like everything has fallen apart. Filled with hand-drawn infographics and illustrations and told in a pitch-perfect voice, this realistic depiction of a teen’s experience strikes an exceptional balance of hilarious and heartbreaking. Ryan Dean seems to have everything going for him but he feels like a loser. At fourteen he's already a junior at Pine Mountain Academy, a prestigious coed boarding school in Oregon. But it's tough being two years younger than your classmates, even if you are at the top of your class and a star on the varsity rugby team. And it’s even tougher when you’re in crazy love with your best friend, Annie Altman, who thinks it would be nothing short of ridiculous to be in love with you. Wanting desperately to fit in among his grade peers and trying to grow up too fast, Ryan Dean struggles with the emotional maturity not yet realized in his youthful innocence. He makes impulsive choices that mess things up and sometimes threaten to ruin everything. What would he do without his best friend, Joey, whose much-needed influence helps Ryan Dean get back on track? But just when Ryan Dean finally gets a grip and life is looking good, an inconceivable tragedy strikes. Things can never be the same. 1. As narrator, Ryan Dean tells his deeply moving story in his own first-person voice. Do you find his voice to be relatable? 2. The use of metanarrative allows Ryan Dean to attempt, as best he can through a personal perspective of contemplation and reflection, to recall and understand the past. Through the writing process, enhanced and supported by delightfully humorous leaps of imagination in comic strip frames, handwritten notes, diagrams, graphs, and charts that he uses to make sense of his complex thought processes, he carefully unfolds and illustrates his story. What effect does this way of representing his story have on the reader? 3. The clever, witty, and entertaining tone of Ryan Dean’s narration balances the weightier themes such as self-control and consequences, sexuality, and violence. What are some other themes that carry a visceral burden in this novel? 4. Joey strongly influences the way Ryan Dean looks at his life. As a level-headed and compassionate mentor reminding Ryan Dean of his own inner guidance to help gain self-control, Joey helps Ryan Dean expand his perspectives and embrace change to create a more meaningful future. What are the essential lessons Ryan Dean learns from Joey? 5. Consider Joey’s philosophy as expressed by Ryan Dean in the prologue: “Joey told me nothing ever goes back exactly the way it was, that things expand and contract—like breathing, but you can never fill your lungs up with the same air twice. He said some of the smartest things I ever heard, and he’s the only one of my friends who really tried to keep me on track too. And I’ll be honest. I know exactly how hard that was.” What does this philosophy mean to you? What does it suggest as a key concept in the novel? 6. Ryan Dean seems to have it all. He easily excels at academics, is a gifted athlete, and is a loyal friend to his male companions. Why does he believe he is such a loser? 7. The rugby team trusts Coach M, believing he’d never let the football team get away with anything dangerous. But Casey and Nick have a habit of pushing the limits with dangerously contentious behavior. How did this play out in the end? What and/or who was responsible for the breakdown? 8. What was going on with Seanie? According to Ryan Dean, “He probably kept little stalker charts and notebooks on everyone he knew.” Is he harmless, or do you think his hacking into and messing around on other people’s websites can be considered cyberbullying? In the end, did his violation of Casey’s MySite page have repercussions? 9. How did Ryan Dean justify his relationship with Megan? What did he mean by referring to her as a safety net? 10. What do you think “Stonehenge,” the wishing circle, symbolizes? What does it tell us about the four friends who created it? 11. In order to explain his wishing circle wish to Annie, Ryan Dean draws a Venn diagram of his life as he sees it. He feels alone in the crescent, outside the overlap of everyone, rejected and marginalized. He wishes everyone, especially Annie, wouldn’t notice so much the fourteen-year-old eleventh grade part of him that doesn’t conform to the overlap. What was Annie’s response to this wish? What would your wish be? 12. What does Annie’s wish for Ryan Dean at the wishing circle tell us about her? What does it suggest about their relationship? 13. What did it take for Ryan Dean to admit, “I finally didn’t feel like such a loser?” Why didn’t this feeling last? What did Annie say that turned Ryan Dean into the Wild Boy of Bainbridge Island? 14. Ryan Dean’s apologies to the victims of the Wild Boy, and to everyone he had wronged, were a crucial step in his journey toward a new understanding of himself and how he conducts himself in his world. Do you think Ryan Dean and JP could ever be true friends again? How about Ryan Dean and Seanie? 15. In what ways do Annie’s and Ryan Dean’s perspectives differ? How does Annie mature throughout the novel? 16. Ryan Dean anticipated his time with Annie at her home on Bainbridge Island as the weekend “I hoped would change my life.” Do you think it did? 17. Consider Ryan Dean’s thoughts about Megan: “I really did think she was a great person. I just knew better than to get too close to her again . . . something’s changing in me.” What insight has Ryan Dean gained about himself and the consequences of his actions? 18. Ryan Dean set out to make eleventh grade a year of reinventing himself, to not be such an outcast. Was he successful? In what ways? What was the most important thing he learned? 19. How did the book end? Why do you think the author chose to close the book in this manner? Did it surprise you? What does the ending reveal about the heart of this story? 20. At one time Ryan Dean believed he was better suited to O-Hall and didn’t belong in the boys’ dorm. Why did he think that? Why does Smith suggest at the end of the novel that nobody ever needed O-Hall again? 1. In the Acknowledgments section, Andrew Smith suggests, “To play rugby and to be a rugby player are inexplicably enmeshed. There is something about the sport that attaches to the character.” What does Smith mean by this? What is it that attaches to the character? Could you apply this idea to any team sport? 2. What does Ryan Dean’s self-convincing mantra “Crede quod habes, et habes” mean to him? Of what is he trying to convince himself by adopting it? 3. “If you messed with the rugby team we were going to mess right back. But it wasn’t a threatening or intimidating ‘messing with’—it was always meant to show that we could take a joke, and joke back, too.” Is this tradition of harmless banter typical at your school? Discuss the relationship between the football and rugby teams at PM. 4. Teenage experience with drug and alcohol abuse is often concerned with larger issues of friendship and loyalty. How does this relate to Chas? To Casey and Nick? 5. Lies and deceit come easily to Ryan Dean. Why does he feel the need to lie? Are some lies harmless? Are all lies morally deficient? 6. What is the purpose of the ultra un-hot and “visually abrasive” Mrs. Singer in the novel? Annoying Mr. Farrow? The old pervert Mr. Wellins? What do Ryan Dean’s perceptions of and reactions to these authority figures tell us about him? 7. Remembering Joey’s comment about nothing ever going back to the way it was, what does it suggest about Ryan Dean when he says to Annie, “I want you to make it be yesterday again”? 8. The reader doesn’t know much about Chas Becker except that he’s a friendless jerk who overcompensates with his bullying. What can you infer about Chas from the text? What is Chas compensating for? Do you know someone like Chas? 9. Chas and Ryan Dean become unlikely friends. What balances out their relationship? 10. There were hints throughout the novel that Casey Palmer was “a dangerous psychopath.” Cite examples from the text. Why were these hints not taken more seriously? 11. Why doesn’t Ryan Dean think he’s brave? Do you think he is? 12. Has this novel changed the way you regard injustice? Prejudice? Bullying? Death? 1. The coming-of-age novel is one of the most popular themes in storytelling, timeless and universal. This theme is not confined to novels. We see it in all forms of art, including plays, poetry, TV, and film. It takes a protagonist through moral challenges, pressures, and expectations, experiencing heartbreak and suffering as he sheds his childhood innocence for a more mature self-awareness. Research the common tensions and awakenings that are part of the coming-of-age process. 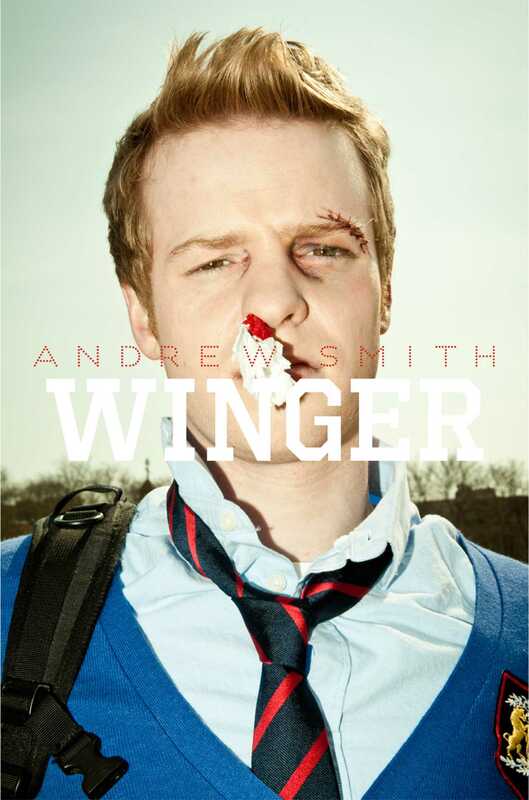 Explore and discuss Andrew Smith’s Winger as a coming-of-age story. 2. Read a contemporary coming-of-age novel, such as Andrew Smith’s 2015 Michael L. Printz Honor Book Grasshopper Jungle and/or John Green’s Printz Award – winning Looking for Alaska (2006). Compare and contrast the protagonists, settings, symbols, and themes of these novels with Andrew Smith’s Winger. 3. Read Harper Lee’s novel To Kill a Mockingbird (1960) and consider the premise that to kill a mockingbird is to destroy innocence. How does Atticus Finch explain to Scout what it means to be a mockingbird? 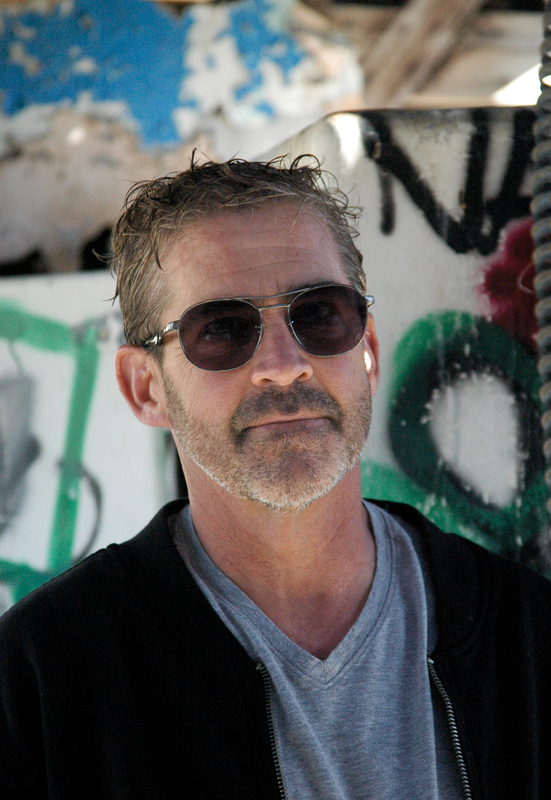 Discuss the character of Joey Cosentino as a “mockingbird” in Andrew Smith’s Winger. 4. Listen to “How Many Friends,” the ninth track of the Who’s 1975 album The Who by Numbers. This is the song Ryan Dean sang to Joey in the last moments they were together. What was Ryan Dean saying to Joey by choosing this song? 5. Read the rugby poem “Why We Play the Game” by Australian poet Rupert McCall. Relate McCall’s poem to Andrew Smith’s comments on rugby and rugby players in his Acknowledgments section of Winger. 6. Read “Indian Camp” and “The Doctor and the Doctor’s Wife” from Ernest Hemingway’s collection of stories In Our Time (1925), some of the best writing Ryan Dean had ever read. Why do you think Andrew Smith chose to include these specific stories in his novel? Do they relate in any ways to Winger? 7. Visit http://www.dougy.org/grief-resources/bill-of-rights/ and read “A Grieving Teen Has the Right to . . .” presented by The Doughy Center, The National Center for Grieving Children and Families. Are there additional rights you think could be added? Guide written in 2015 by Judith Clifton, Educational Consultant, Chatham, MA. "Winger broke my heart, like any great book should. Andrew Smith is a brave and talented storyteller who blows me away every time. Readers will love Ryan Dean West. This book is powerful, sweet and heart-wrenching." "Winger is one of the most honest and beautifully raw novels I've read in a long time. Ryan Dean is a true original." * "[A] brutally honest coming-of-age novel...Like puberty itself, this tale is alternately hilarious and painful, awkward and enlightening...an excellent, challenging read." * "Smart, wickedly funny...In a magnificently frenetic first-person narration that includes clever short comics, charts and diagrams...Smith deftly builds characters—readers will suddenly realize they’ve effortlessly fallen in love with them—and he laces meaning and poignantly real dialogue into uproariously funny scatological and hormonally charged humor, somehow creating a balance between the two that seems to intensify both extremes. Bawdily comic but ultimately devastating, this is unforgettable." * "This deceptively lightweight novel packs an unexpectedly ferocious punch." * "Smith's masterful narrative of the hormonal yet insightful teenage boy flows smoothly throughout the novel...an unforgettable and unflaggingly appealing voice...A classic coming-of-age story that combines humor and heartbreak in just the right amounts." "Andrew Smith crafts something in Winger that will have you thinking about the things you choose to say and those you leave unsaid." "Sharp, funny, and perceptive about youthful male friendships. Readers who enjoy stylistically interesting stories about underdogs in boy world may therefore still find this witty and entertaining." "A reader looking to pigeonhole Winger into a traditional genre category may be in for a surprise. It’s a laugh-out-loud funny sports story set at a boarding school, but it’s also a serious look at the many different forms of love—and a subtle meta-narrative about the process of telling a story...Reminiscent of Looking for Alaska, Winger packs a punch that will leave readers rethinking their assumptions about humor, friendship and the nature of storytelling—and about the broad range of emotions of which teenage boys are capable." "You're not going to find futuristic fantasies or superpowers in Andrew Smith's young adult novel Winger. Fourteen-year-old Ryan Dean West's life at a boarding school for the wealthy is by all accounts ordinary -- he has an unrequited crush on his female best friend, and he has to share a room with his rugby team's biggest bully -- but that's also Winger''s appeal. “I am seriously moved beyond words after finishing this beautiful, hilarious, and heart-exploding book. Reading Winger is like running down a steep hill--you should probably slow down, but it feels too good to stop. Andrew Smith has written a wildly original, hilarious, and heartbreaking ode to teenage confusion and frustration. You'll devour it and then go back for more."